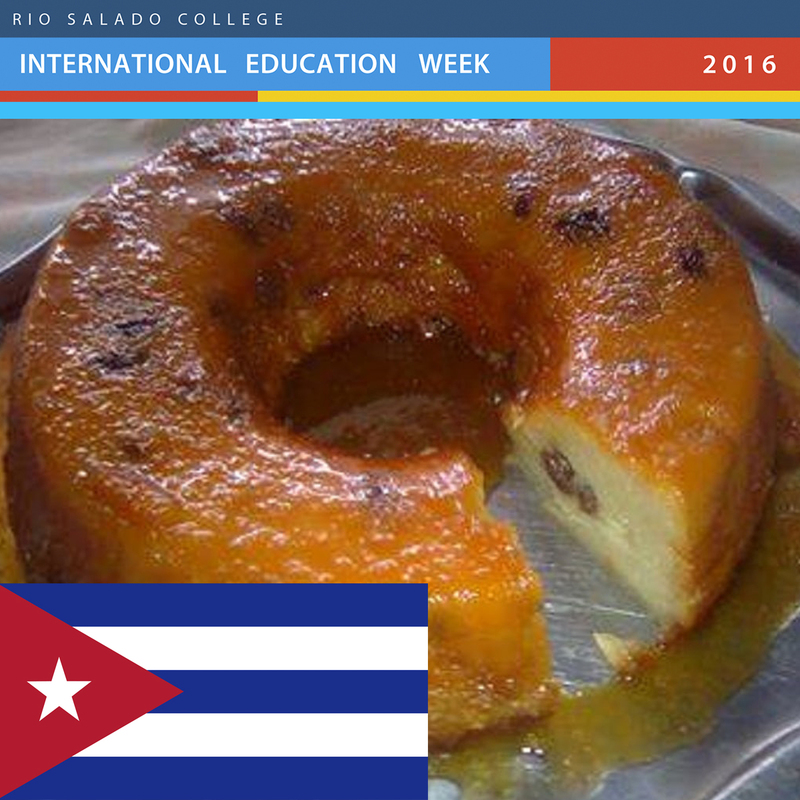 Rio Salado College | RioNews: What's Cooking Cuba? Pudin de Pan! What's Cooking Cuba? Pudin de Pan! Forget the fruitcake! We found your holiday party's next big hit. With spices like cinnamon and nutmeg, this Cuban bread pudding will be sure to add some cheer to your holiday menu. 1 loaf day-old Cuban bread, cut in one-inch cubes (approximately 10 slightly packed cups. Use a high quality bakery loaf as a substitute). 1. Take your raisins and soak them in four cups of hot water until they plump up, about 30 minutes. 2. Use an electric mixer to beat the white sugar, brown sugar, and the eggs until creamy. Gradually add the sweetened condensed milk and evaporated milk. Beat until frothy. 3. Add the melted butter, whole milk, cinnamon, nutmeg, and salt and beat until well blended. 5. Bake in the oven for about one hour. You can tell it is done when the entire top puffs up and a knife inserted in the middle comes out clean. Today marks the end of our International Education Week celebration. We hope you enjoyed the events, activities and festivities-- and that you will continue to celebrate diversity and engage in the dialogue! 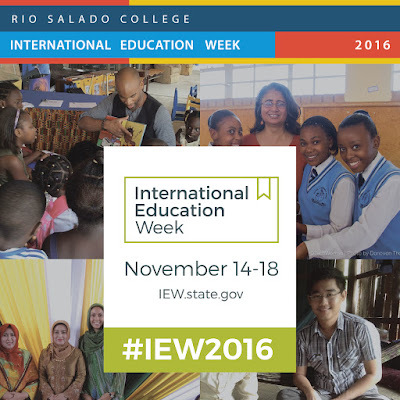 Learn more about this annual U.S. Department of State initiative at IEW.state.gov.